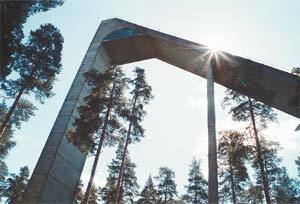 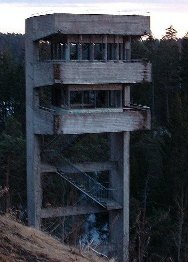 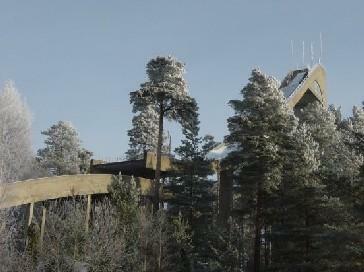 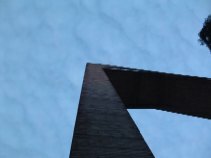 Already four months after the founding of Hämeenlinnan Hiihtoseura the Ahvenisto ski jump was inaugurated in March 1925. 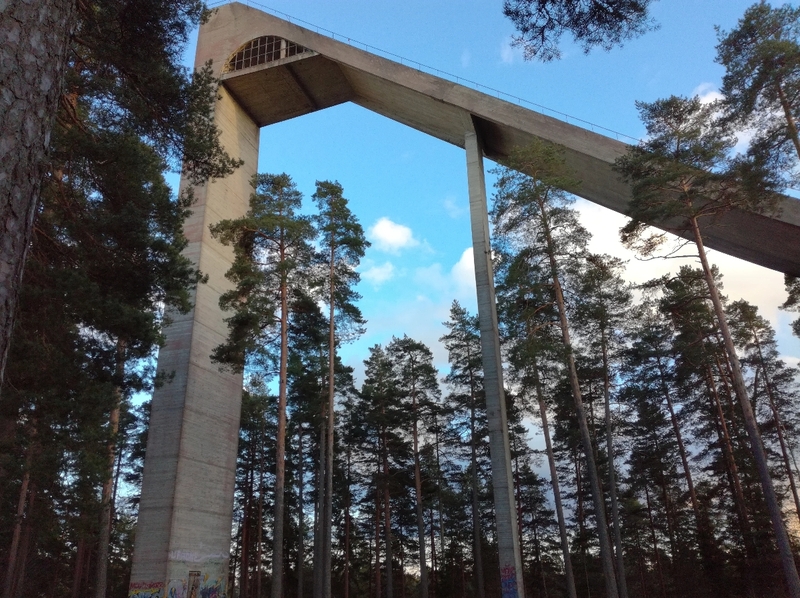 There jumps on more than 20 meters were possible. 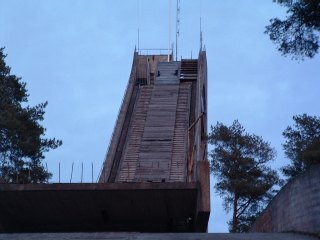 On Epiphany 1926 even 2'000 spectators came for a competition. 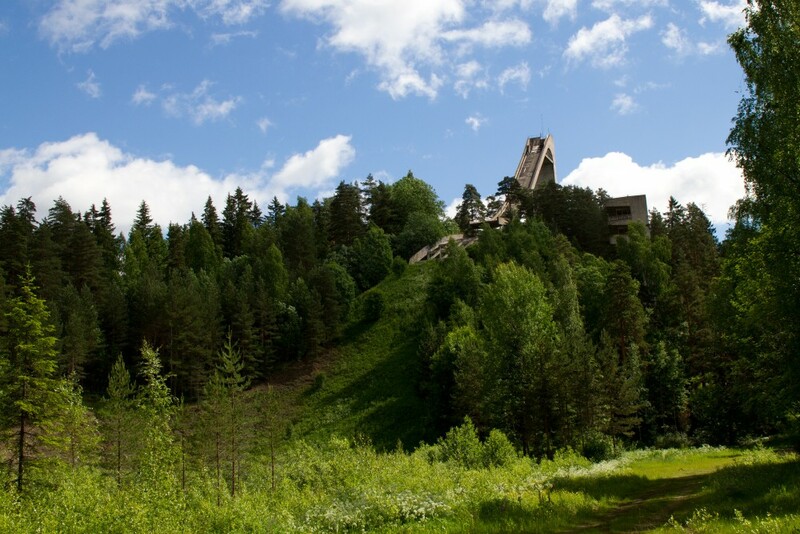 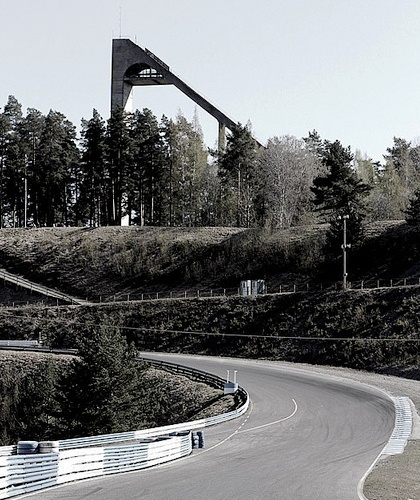 First plans for the construction of a 70 meter ski jump came up in late 1950's, and were realized by 1968. 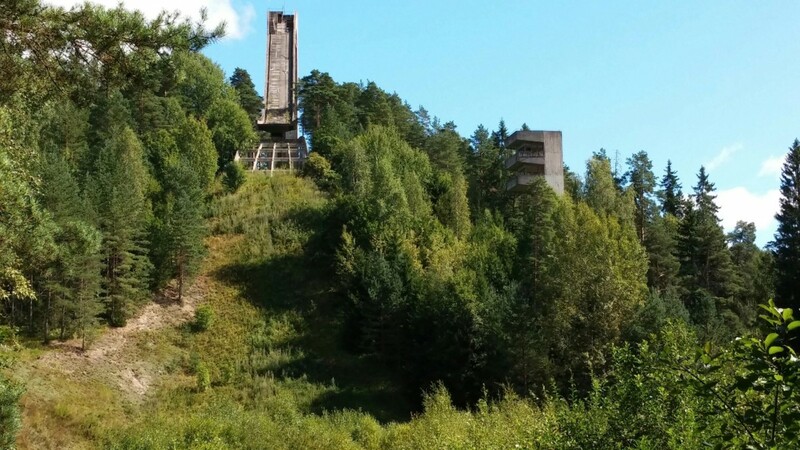 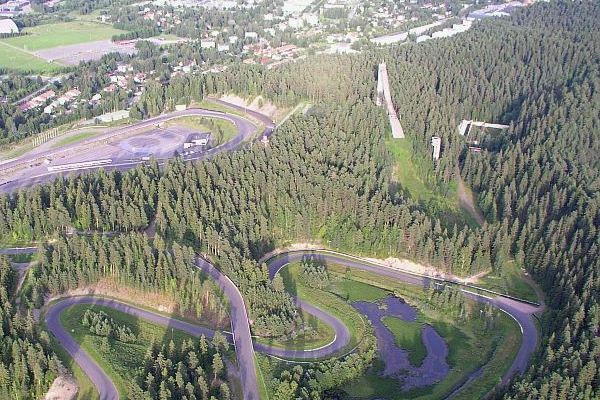 The normal hill in Hämeenlinna hasn't been used since 1994 and is, as the photos show, not in a very good constitution anymore. 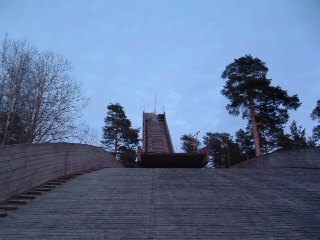 Around the wooden ski jump there is Ahvenisto race track, which is also used as a cross-country skiing center during winter.